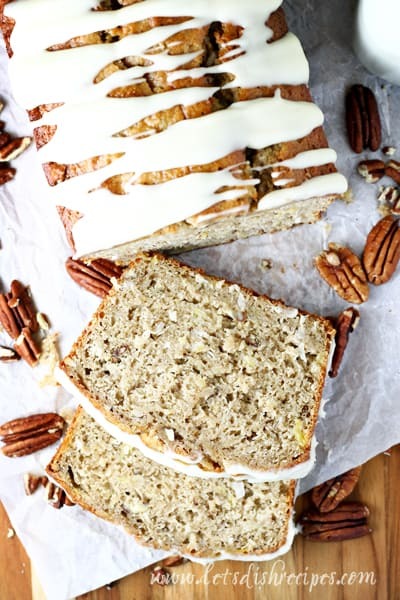 HUMMINGBIRD QUICK BREAD — The traditional hummingbird cake takes on a new form in this moist, delicious sweet bread loaded with coconut, pineapple and bananas. A cream cheese glaze finishes it all off in style. 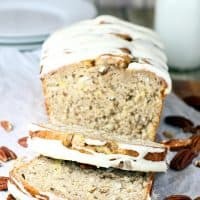 If you’ve ever tried Hummingbird cake, then you have some idea of how amazingly delicious this Hummingbird Quick Bread turned out. Just like the classic cake, it’s loaded with bananas, coconut, pineapple and chopped nuts. Imagine your favorite banana bread on steroids and that pretty much sums up this quick bread. The biggest differences between the cake and his yummy loaf pan version are that you don’t have to mess with frosting a cake, but of course, the bread version does have a little less frosting. Which is fine by me…..the cream cheese glaze on this bread is totally satisfying. Not once as I devoured several slices of this moist, flavorful, tropical tasting bread did I find myself wishing for more frosting. Being curious, I did a little research on the origins of Hummingbird Cake and learned that it is thought to have been invented in Jamaica, probably in the late 1960s. Most food historians agree the first printed recipe for Hummingbird cake was by one Mrs L.H. Wiggin, who supplied the recipe to Southern Living magazine in February 1978. Which is how, I’m guessing, it became known as a “Southern” recipe here in the U.S. Regardless of who invented it, you’re going to want this Hummingbird Quick Bread to make an appearance at your house. It’s perfect for dessert, after-school snacking, and (dare I say it), even breakfast. We definitely ate it for breakfast at my house. I mean, it’s got fruit in it, right? This fantastic loaf of bread certainly didn’t last long around here, and I’m sure it will disappear quickly when you make it too. Enjoy! Be sure to save this Hummingbird Quick Bread recipe to your favorite Pinterest board for later. 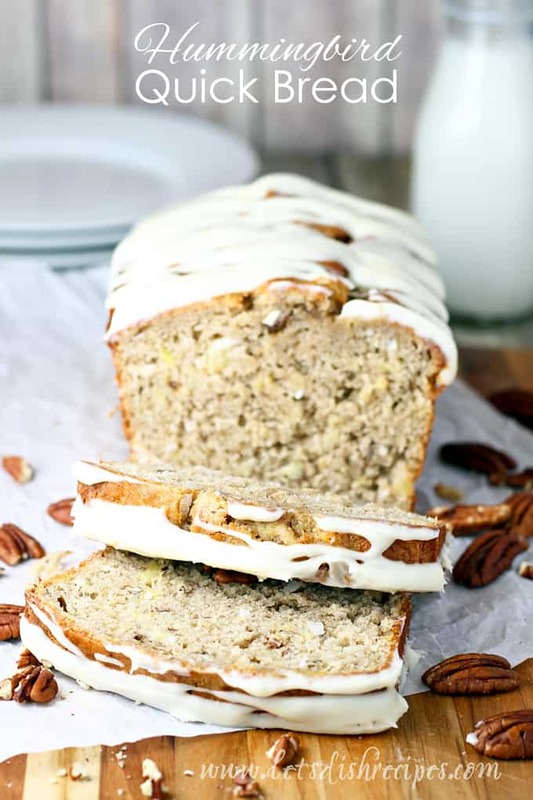 The traditional hummingbird cake takes on a new form in this moist, delicious sweet bread loaded with coconut, pineapple and bananas. A cream cheese glaze finishes it all off in style. Preheat oven to 375 degrees. 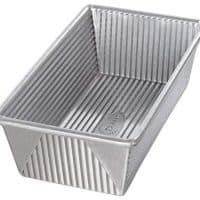 Generously spray a 9x5 inch loaf pan with non-stick baking spray. 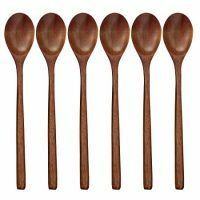 In a large bowl, combine flour, sugar, coconut, pecans, baking powder, soda, salt, cinnamon, nutmeg and allspice. In a medium bowl, mix together pineapple, banana, applesauce, sour cream, eggs and vanilla. Make a well in the center of the dry ingredients. Add the wet ingredients, stirring just until moistened. Spread batter into prepared pan. Bake until a toothpick inserted in the center comes out clean, 40-50 minutes. Let cool in pan 10 minutes. Run a knife around the edges of the loaf and remove to a wire rack to cool completely. Meanwhile, make the cream cheese glaze by whisking together powdered sugar, cream cheese, vanilla and 2 tablespoons milk in a small bowl. Gradually add more milk until glaze reaches desired consistency. Drizzle of bread before slicing and serving. 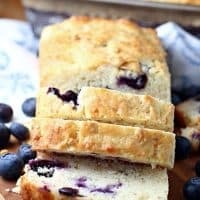 Fresh blueberries and rolled oats make this hearty loaf of bread perfect for breakfast or afternoon snacking. 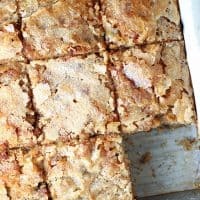 Traditional banana bread is baked in a square pan and sprinkled with sugar to create a crunchy topping on this baked banana treat. 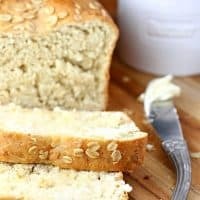 This easy yeast bread is sweetened with honey and loaded with oats. Which makes this no-knead honey oat bread perfect for toast, sandwiches and snacking. 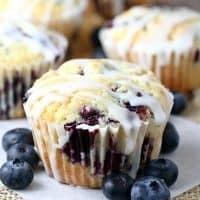 Blueberry lemon muffins are made extra special with a sweet and tangy lemon glaze. 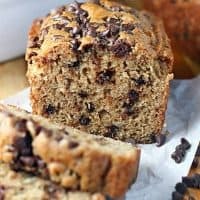 This simple but delicious spice bread is studded with chocolate chips to make it extra special. 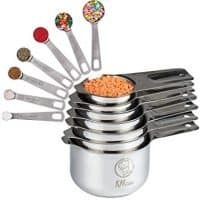 Perfect for holiday gift giving! 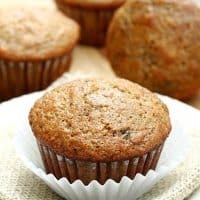 Make the batter for these bran muffins and keep it in the refrigerator for up to 4 weeks! 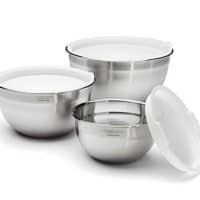 A great way to serve up fresh muffins for breakfast or snacking, any time the craving strikes.